This short sleeve button down lobster shirt is white with red lobsters. The material is 65% polyester and 35% rayon. This is very smooth and soft material similar to high cotton blend yet more durable. This blend of material creates a very lightweight shirt that is great for summer and spring. The lobster pattern covers the entire shirt, front and back, as displayed in the pictures. There is also a breast pocket on the front left side. 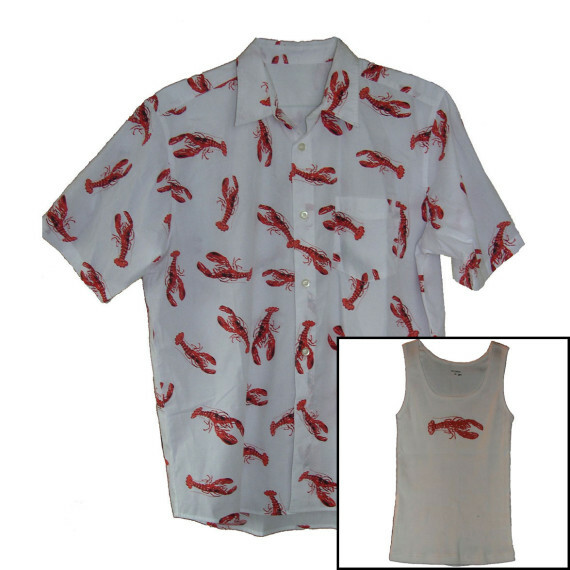 The lobster shirt is available in men’s adult small, medium, large, extra large and extra-extra large. Please see the chart below in the details section for dimensions for each size. This Promotion includes a Lady’s Lobster Tank Top FREE. A $19.90 Value! 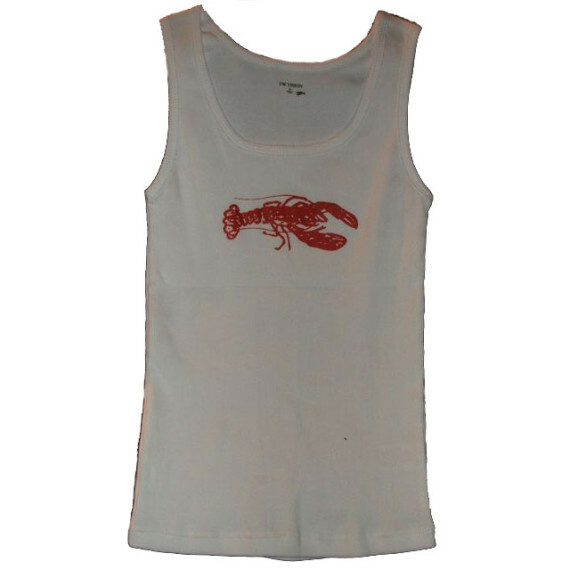 In addition to the short sleeve button down shirt for men, there is also a version of the lobster shirt in a tank top for women. The lobster tank top is 100% cotton with a single red lobster on the front of the shirt. It is the same high quality design and durability that we offer in the men’s lobster shirt. The Woman’s Tank Top is a 100% white cotton ribbed tank top. It is available in size small, medium and large. It is all white with a red lobster on the front of the shirt. There is no pattern on the back of the shirt. It has a label on the inside\bottom of the shirt with washing instructions. It also has size and our company name on the collar. The lobster pattern is a rubber type material that is applied to the shirt. It is not a patch that is stitched on.